Now that it has been a year, I thought I would finally share the highlights from our “Out West” road trip we took last Summer! 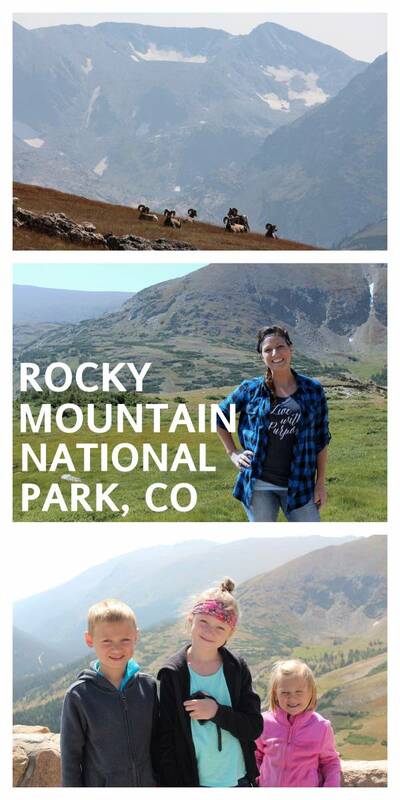 My husband and I have both traveled out West with our families when we were kids, but had yet to take our own kids until last Summer. We thought about pulling our trailer and camping along the way like we had done as kids, but after considering how much driving it would be, we chose to go the way of hotels. Our family of five and my parents, left Michigan on a Sunday afternoon, right after church. We drove across the country, stopping at various points of interest until we reached our destination in Estes Park, Colorado the following Saturday. At the end of our trip, our family flew home from Denver while my parents drove home the rest of the way through Nebraska and Iowa. What I liked about the route we took, is that despite the fact that we drove a long way, we had lots of interesting spots to hit. There never really was a boring stretch of driving. There was always something exciting to look forward to! This was the first stop of our trip and we stopped just to sleep for the night and then got on the road the next day. 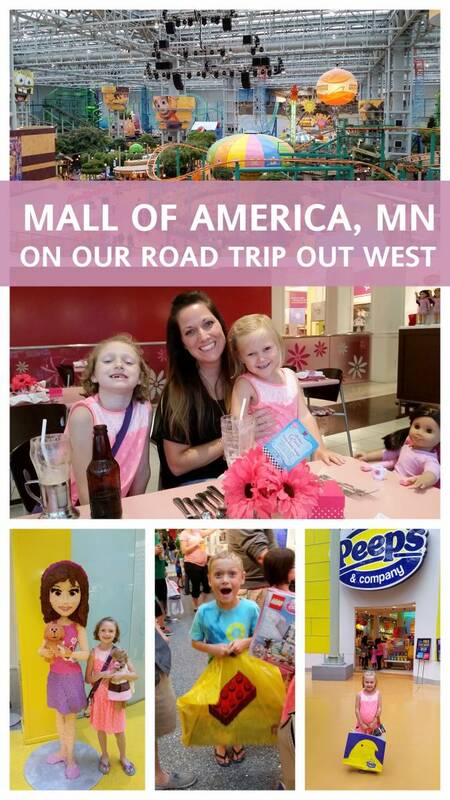 We chose to break up our trip with a stop at the Mall of America. We could have taken the route that ran directly South of here, but realized it wasn’t that much further and provided a point of interest along the way. We didn’t take lots of time here (you could easily spend days!). We mainly wanted to walk around, see the Lego store and American Girl store, amusement park, etc. It was a fun and much needed breather from the long car ride. We stayed at a hotel near here for the night. 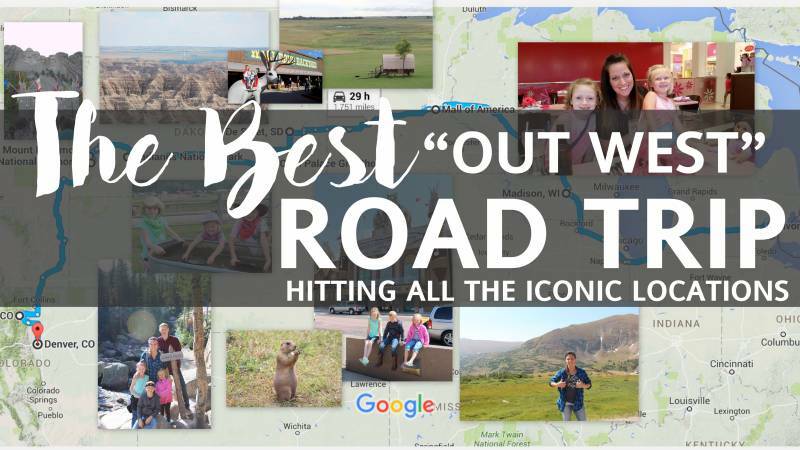 You could easily create a road trip specifically around the life of Laura Ingalls Wilder with stops in Iowa, Minnesota and South Dakota. 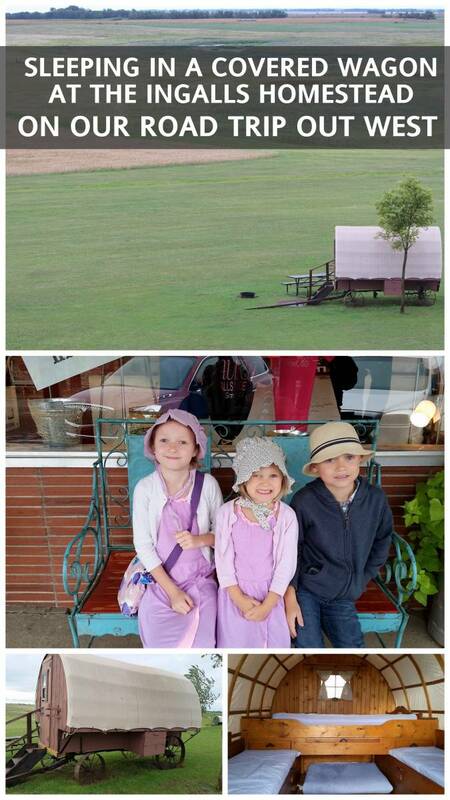 We chose to take in the Ingalls Homestead in De Smet, specifically because it was the only Laura Ingalls point of interest we had never been to. We started driving early that day and arrived late afternoon. We would have had plenty of time to explore, but it was pouring down rain. We chose to skip out on the wagon ride and homestead tour, but remained faithful to our plans of bunking down for the night in a covered wagon! It was freezing cold, wet and windy, but it still remains one of the kid’s favorite memories from that trip! My parents stayed the night at a bed and breakfast in town and the owners were nice enough to welcome us in for a hot breakfast and showers. Covered wagons are not for the faint of heart! After our breakfast and hot showers in De Smet, we drove a short way and stopped at the Corn Palace in Mitchell, SD. Because, corn palace. We took some pictures, ate some popcorn and were on our way. Next stop; Wall Drug in Wall, SD. 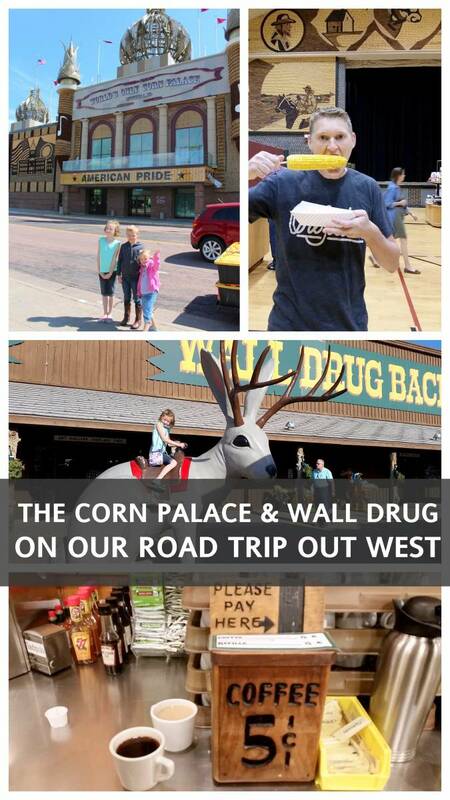 Again, Wall Drug is just one of those iconic places you have to stop at. It’s crazy and a bit bizarre, but they’re notorious for their 5 cent coffee, free ice water, buffalo burgers, and endless amount of roadside billboards. We made it to our hotel in Hill City, SD that night. We made it to our hotel in Hill City at the end of day 3. Day 4 we woke up and headed straight for the Badlands. This was one of my favorite areas! It was a pleasant drive through the park with plenty of spots to pull off and stop, take a short hike, snap a picture, etc. The cliffs and turns of the road are not nearly as treacherous feeling as the drive though the Rocky Mountains of Colorado. The beauty you find here is so unique. 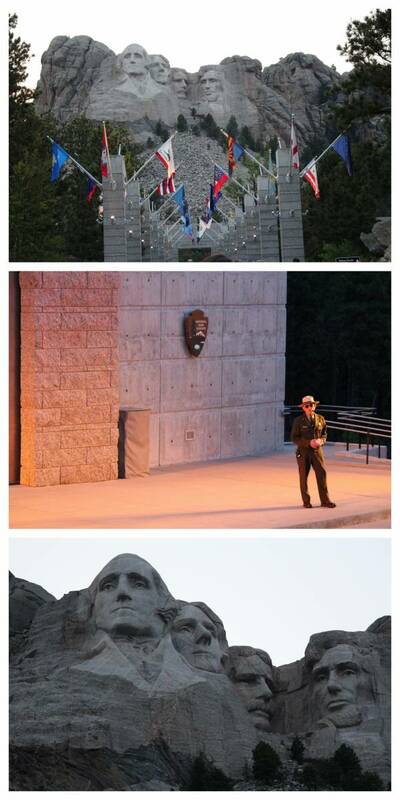 After driving through the Badlands, we made it to Mount Rushmore with just enough time to see the evening’s closing presentation and lighting. You could easily spend more time here, but we did the accelerated version. This was about the time in our trip that my husband realized he was suffering from altitude sickness. He had started to feel light headed and dizzy the day before, but on day 5 he was forced to stay in bed. We learned that people who are affected by altitude sickness may start experiencing symptoms around 2,000 feet. Hill City is 5,000 vs. Michigan which is 500. Hill City is a great place to stay, within a short drive of everything we wanted to see. The town itself is cute, with lots of little shops and places to eat. It is also the home of a really nice train station. My dad took my 6 year old son on a steam train ride through the mountains, which they loved. 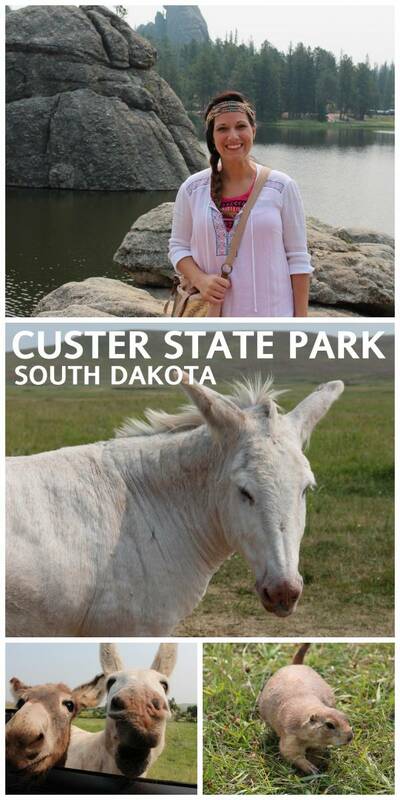 While Jay laid low, hoping to acclimate, and we headed out to explore Custer State Park. We did the long loop around the park and saw every form of wildlife you could hope to see. The kids loved it. We got back just in time to pick up Jay, who was still light headed but wanted to join us for the chuck wagon dinner. 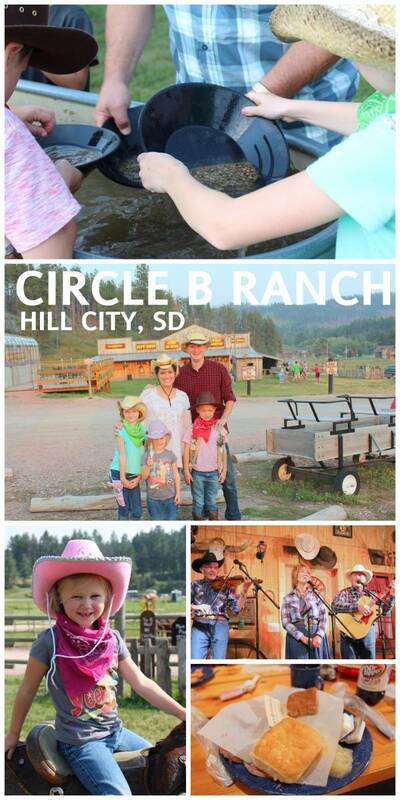 We had purchased tickets the day before, for a dinner at the Circle B Ranch. It was the perfect cowboy dinner experience; complete with shoot-out, panning for gold, banjos, beans and tin cups. On day 8 we visited a beautiful church in Estes Park. Jay made it about half way through the service before having me drive him back to the condo. The elevation of Estes Park is 7,500 feet and Jay was experiencing an even more severe bout of altitude sickness. Because of his high blood pressure, he didn’t want to take any chances and visited a walk-in-clinic just be safe. They reassured him that it would take time to acclimate. In the mean time, bed rest, fluids and oxygen would help. Side note, the people from Boost Oxygen were super helpful and we have since carried cans of Boost anytime we are traveling to places of high altitude. 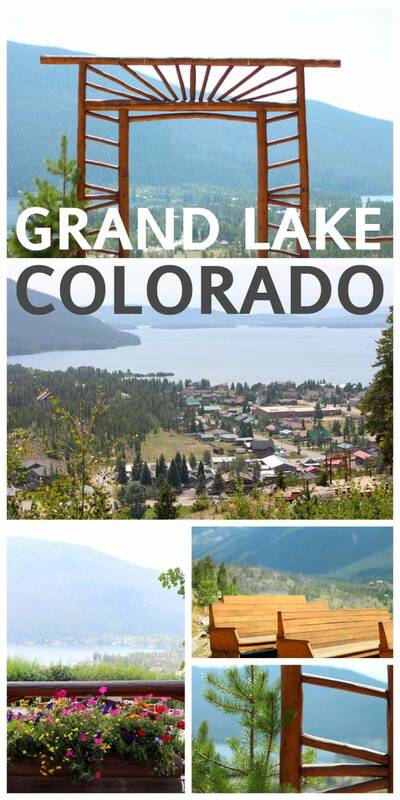 On the other side of Rocky Mountain National Park is the beautiful, Grand Lake. We stopped here just to drive around the little town and take in the sights. 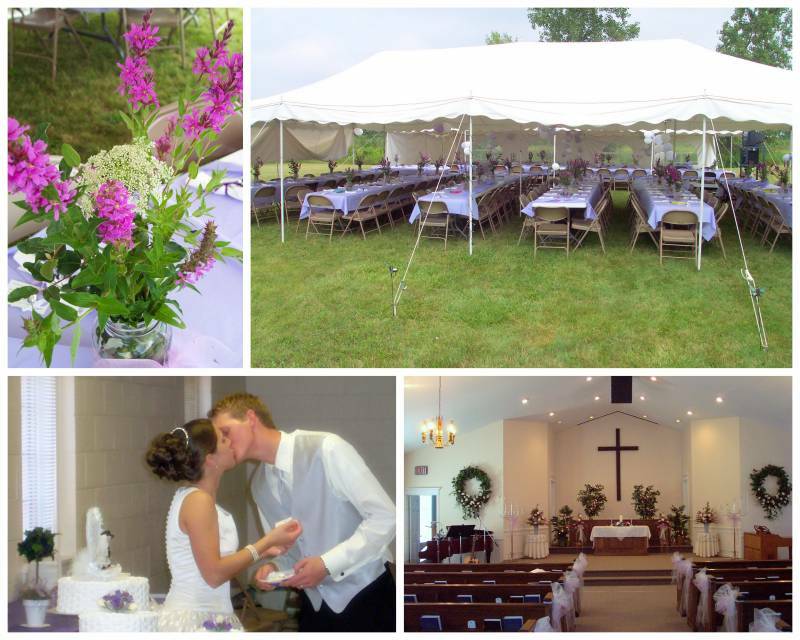 There is a beautiful overlook and outdoor chapel where church services and weddings are held in certain months of the year. 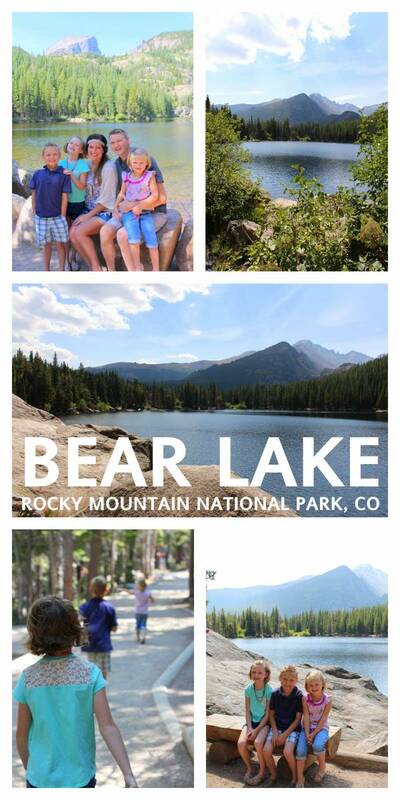 One of our favorite days spent in Colorado! Jay was finally feeling good enough to venture out with us. The hike to Bear Lake is very short, but parking is limited and you may be forced to take the shuttle if the main lot is full. 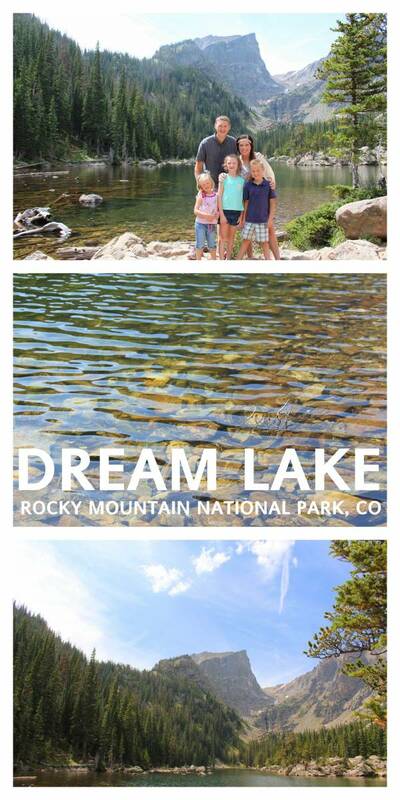 We walked around Bear Lake and on a whim, decided to keep going on to Dream Lake! It was a pretty strenuous hike for my parents in their 50’s and our youngest who was 4 at the time, but we all made it and it was WORTH IT! After hiking so much the day before, our tired legs needed the break. After a day of rest, my parent’s chose to stay back, but we decided to hike out to Alberta Falls. This was not nearly as strenuous as the hike to Dream Lake, but it was still pretty intense. Again, so worth it in the end! Day 13 we took in the local sites we had yet to see. 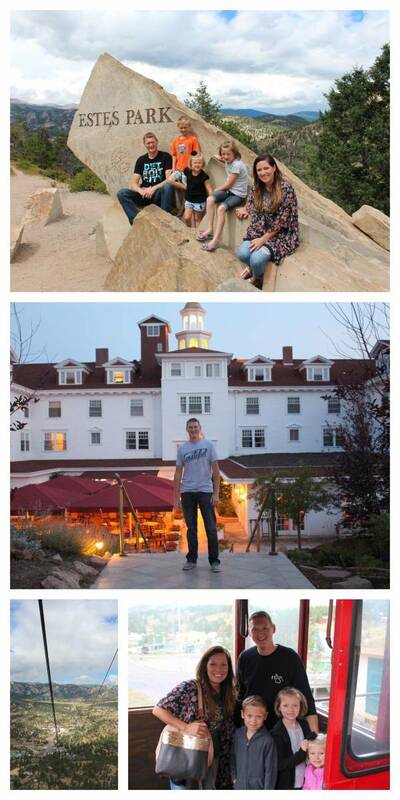 We shopped in downtown Estes Park, toured the famous Stanley Hotel (the hotel that inspired “The Shining”), and took the Arial Tramway up the mountain. Day 14 we packed up and checked out of our condo. We drove into Denver for a quick stop at the Mile High Flea Market. 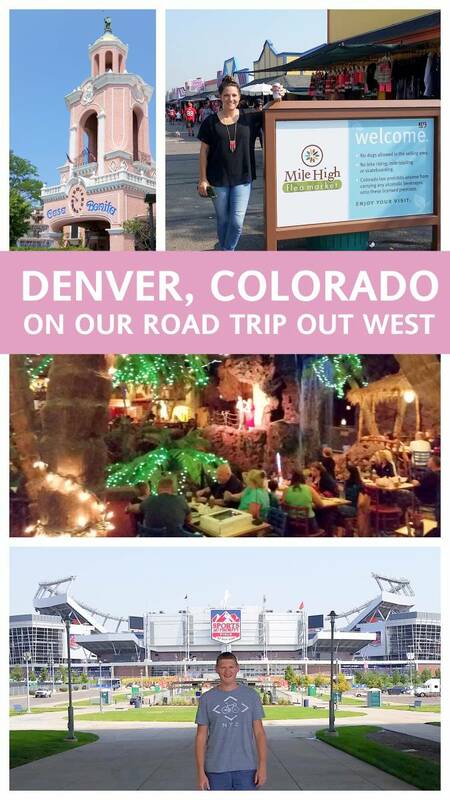 We then headed over to eat at the Casa Bonita Mexican Restaurant, our FAVORITE place to eat in Denver! It’s a day’s worth of entertainment in and of itself. And TIP: it’s also one of the most reasonably priced places to get Old Time pictures taken. My parents would be moving on from there to complete the trip home by car, while we flew out of the Denver Airport. 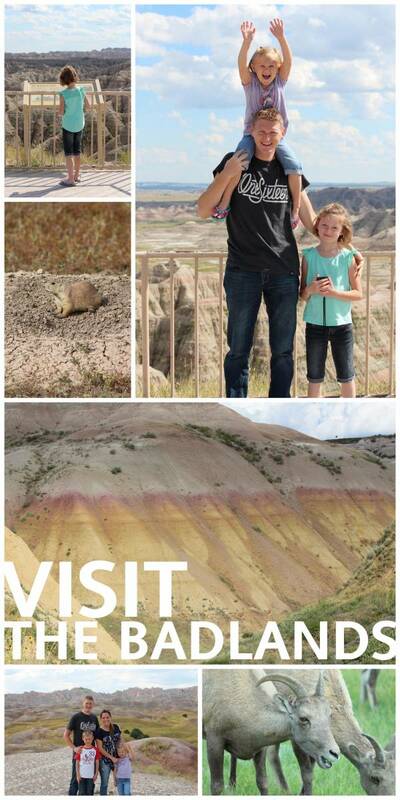 OF COURSE there are LOTS of other things to see out West that we just didn’t have time to hit on this trip. We did NOT go far enough West to see Wyoming and Yellowstone National Park, or far enough South to see the Grand Canyon. We also didn’t make time to visit the Spam museum in Wisconsin. We drove right past Chicago and didn’t stop. We didn’t make it into Colorado Springs for the Garden of the Gods. There were just too many things to squeeze into this trip, but I feel like we saw SO MUCH and our kids loved every minute of it. 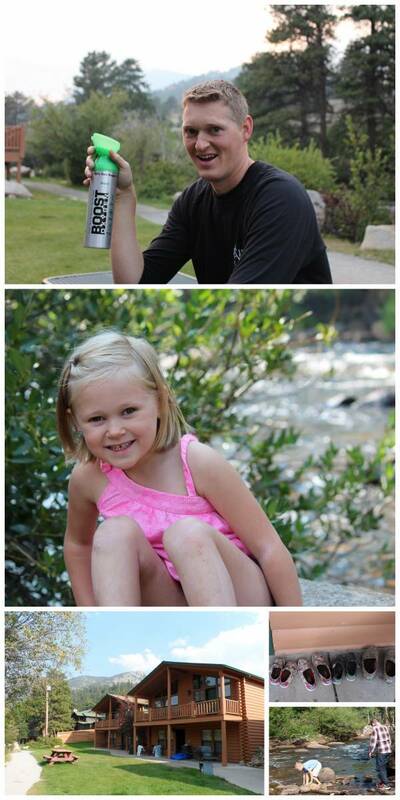 Our kids were 4, 6 and 7 at the time and I would say they were the perfect age for enjoying the things that we saw.